The Gay Gamer: Do kiwis dream in color? 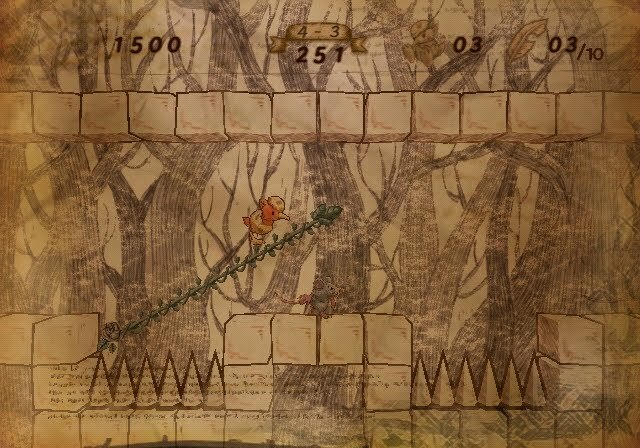 When Yuji Naka's latest platformer Ivy the Kiwi? hit the streets in Japan a few weeks ago, it was a little slice of sepia-toned heaven. When the storybook-ish DS/Wii title hits the streets in the States (courtesy of XSeed) this summer, though, it'll have a shiny, Technicolor sheen to it. Although I understand why Naka and his cohorts at Prope Ltd. added a bit of color to the title before bringing it to our shores, I personally prefer the subdued tones of the original--in part because the backgrounds of the new-and-supposedly-improved North American version seem to swallow up the titular Ivy. Agreed. Plus, with the gameplay footage I've seen, there doesn't need to be anything to distract you from keeping that little bird alive! I'm conflicted here. I like the new backgrounds, but I agree with you that the kiwi kind of seems to get lost in them. Regardless, this is a very interesting-looking game. Kiwi heroes rule... I've always liked New Zealand Story. I have a feeling we'll have to see the NA version in motion before we can say for sure if Ivy is swallowed up by the backgrounds. I'm hoping she isn't, because I do like the subtle, watercolor-ish look the game has taken on. BTW, your review of the PC Engine version of New Zealand Story prompted me to give the game another chance earlier this week. It always rubbed me the wrong way, for some reason. Anyway, after playing it for a bit it has really charmed me. Thanks for that -- and thanks for posting a comment here! Cool, I'm glad to hear NZS has grown on you. You're right, it is charming--deceptively charming! Who would've imagined a game starring a cute little kiwi could be so difficult and tricky in places? Getting through the tough parts feels great. About Ivy, it would have been awesome if they had decided to include both the original and new backgrounds and let the player choose which to play with. Yep, Obocchama Kun is another fun one. I really like the enemy designs in that game. I haven't played Honey on the Road yet, but it sure does have an awesome manual cover. Yes, the enemy designs are brilliant in Obocchama Kun. The designs of the protagonist's "helpers" are great, too. Honey on the Road is very weird. 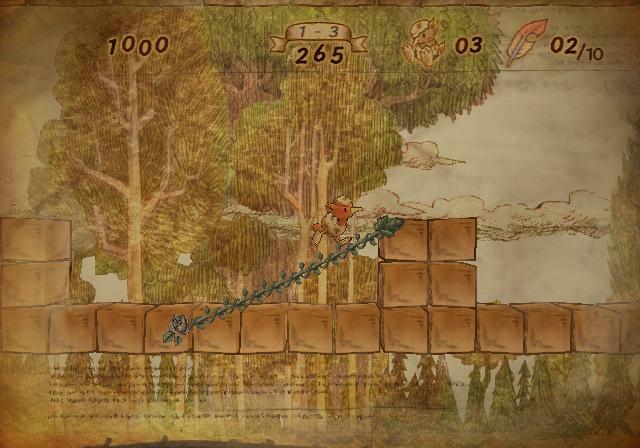 It's not a platformer in a traditional sense -- and in some way it's very archaic. Still, I'm a bit obsessed with it. You should be able to get it fairly cheap these days. In fact, I just bought a new, sealed copy of the game off of eBay for less than $30! Can't wait until it (and my white PC Engine) arrives. The whole "four planes" element of Honey on the Road really intrigues me, and it seems like Face pulled it off quite well. Have you played Honey in the Sky? I haven't, but it seems like another interesting (and perhaps less successful) experiment. Yes, the four-plane platforming is the main thing that makes Honey on the Road interesting and intriguing, IvaNEC. Plus, the enemy graphics are pretty nice/unique. I haven't played Honey in the Sky yet, but I'm planning to try it (and buy it) soon. I like shooters in general, and this one seems interesting. Oh, and add Liquid Kids/Mizubaku Daibouken to the list above. Why are these games so expensive?? Yeah, those are some pretty pricey titles. Rainbow Islands is usually even more expensive than Parasol Stars and Liquid Kids. Great game, though. Deals should eventually present themselves; the odds improve if you're willing to go the HuCard-only route. Thinking back, I know my Photo Boy was only $20, and I think Liquid Kids and Parasol Stars (US) cost me about $10 apiece. I'll let you know if I see good prices for any of those games. Thanks, IvaNEC! I may have to go the HuCard-only-route in the end -- or just wait until I can afford to pay a premium for the "full" versions.